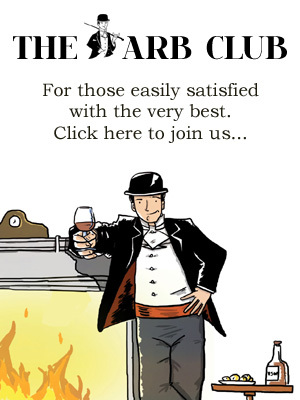 You are at:Home»The Lifestyle»The Idler»Musings»The English Dandy: Who, Sir? Me, Sir? The English Dandy: Who, Sir? Me, Sir? The English Dandy. Sadly, a phrase disappearing into the annals of history, yet what a wonderful vision it invokes of male pretentiousness in Georgian society. Even the language that is synonymous with the word dandy is heady with whimsical notions and simply invite further investigation: beau, coxcomb, fop, man-about-town, peacock, popinjay, toff. There are, too, other wonderful words which have already become archaic in the context: blade, blood, buck, gallant…and macaroni! Take macaroni. It is largely acknowledged that the term derives from the chorus of “Yankee Doodle Dandy”, a song written just before the American Revolution, and purporting to define the requirements of a dandy as being those of having a fine horse and gold-braided clothing. It seems that the word ‘dandy’ is a diminishment from the original Jack-a-dandy, a well-known expression prevalent during the Napoleonic Wars. We may presume, then, that the dandy was not just an English idiosyncrasy but was also a part of society in both America and continental Europe. A dandy is defined as ‘a man that places the utmost importance on his clothes, appearance and bearing’. Coupled with refined language and pursuit of a leisurely lifestyle, all carried off with an air of nonchalance and a veneration of self. Although self-made dandies could be middle-class, they had to work at passing off the pretence of an aristocratic lifestlye. Most dandies, however, did come from a privileged background. Most of them were classically educated and were, thus, informed by the learning of Roman ideals – a concept, unfortunately, they were unable to live up to. Discipline and restraint were key words to the Romans but in a more licentious age these ideals were beyond the reach of dandies intent on having a good time and maintaining their airs of importance – warranted or not. Beau Brummel is usually considered the originator of English dandyism, but I feel this is overlooking a predecessor in Beau Nash (1674 – 1762), an engaging character in the history of Bath – perhaps our finest Georgian city. Nash was born in Swansea and educated at Jesus College Oxford, going on to become an army officer before he was called to the bar. Little was made of these conservative opportunities as Nash preferred the life that Bath could offer – a frivolous existence of gambling, flirting and fashion. He became the self-styled ‘King of Bath’, organising games, balls and entertainment for the idle rich which not only ensured a constant stream of visitors to the city, but also transformed Bath into the most fashionable centre of Georgian society. A statue of Beau Nash stands, still with a watchful eye over society, in the Pump Rooms in Bath, and he is buried within the walls of beautiful Bath Abbey. Clothing was of the utmost importance to a dandy – corsets, frock coats, hats, feathers, breeches and cravats all had their place in the Georgian wardrobe. Interestingly, how one dressed in the 18th century was intrinsically linked to one’s status and political affiliations. (although, perhaps, the same could be said for today’s society). The self-aggrandisement of the dandy was not only a desire to appear superior to the masses, but may also be seen as a social, and political, attempt to keep the perceived lower classes in their place. Given that ideas of egalitarianism were beginning to surface it was important that the dandy stood above, and apart, from the ordinary man – even going so far as to pay reverence to the social standings that existed in feudal, or, at least, pre-industrial times, and thereby reiterating the importance of knowing one’s place. The dandy, therefore, aspired to present the image of the archetypal gentleman or, even better, the autonomous aristocrat. Ironically, and somewhat hypocritically, however, the dandy was dependent on these lesser beings for their audience and admiration. Beau Brummell (1778 – 1840) elevated the concept of dandyism even further and was assisted, in public perception, by his friendship with the Prince Regent – later to become King George IV. Prinny, as he was known, was something of a fop himself given to petulant outbursts and permanently fascinated with his appearance. Born into a middle-class family but educated at Eton and Oxford, Brummell excelled at Latin but left the university after barely a year, aged only 16. A military career beckoned in the famed Tenth Royal Hussars – the personal regiment of the Prince of Wales. Despite inheriting a considerable fortune, on his father’s death, Brummell found that the expenses incurred by being a member of the regiment were such that competing with the more aristocratic contingent – many of them heirs to noble titles and lands – was draining his resources. The Prince Regent was much taken by the sheer dynamism of his friend and, much to the chagrin of other officers, Brummel was singled out for special attention. The transfer of the regiment from London to Manchester gave Brummell the perfect excuse to resign his commission, and to continue his friendship and influence over the Prince. Between them the previously heavy ornate fashions began to be replaced with fitted and tailored bespoke garments. Knee breeches and stockings gave way to full length trousers accompanied by immaculate shirt linen, and eventually heralded the modern man’s suit. Brummell was fastidious with his daily hygiene – taking as many as five hours to wash, shave and dress. His personal recommendation was that a man’s boots should always be polished with champagne! When a tax was levied on flour (used to buff a man’s wig) Brummell had already abandoned such and had adopted the “a la Brutus” look – a distinct reverence to Roman ideals. The daily routine of a dandy, after one had spent so long getting ready, was a round of shopping, riding in Hyde Park, dropping in at the club, taking in the theatre, a spot of gambling, and then to the brothels. A life without useful purpose but, nevertheless, having a major influence on the way men dressed and behaved. In literature Thomas Carlyle saw dandies as no more than clothes-horses, but Baudelaire compared the dandy’s very existence as an attempt to symbolise their, self-perceived, aristocratic superiority of mind. One has only to consider Oscar Wilde and Lord Byron to reflect that their public and private lives, as dandies, informed and entertained a public audience thirsty for gossip and scandal. Today the word dandy is largely confined to an adjectival context – “that’s fine and dandy” for example – although it can be used as a noun, though rarely, to refer to a well-groomed and well-dressed man. While it may have fallen out of common parlance, the spirit of the dandy lives on in the fine tailoring, shelves of toiletries and social habits of what we might now call ‘metrosexual man’. Well, a sense of style never really dies, does it.